No one seems to care about Groundhog other than to ask him about the weather on Groundhog Day, so he heads off to the spa. 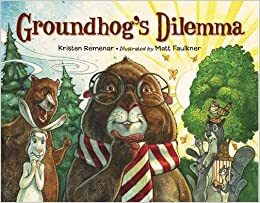 The townspeople try to find a replacement for Groundhog Day, but they realize that only Groundhog is right for the job. When Groundhog hears this on the news report he returns home and basks in the attention he is given. This book tells a humorous tale about the popular holiday. Some of Groundhog's friends want an early spring and some want a longer winter. When Groundhog's friends try to bribe him to make Groundhog Day turn out the way they want, Groundhog tries to please them all. Groundhog has no choice but to tell his friends the truth. Groundhog learns a lesson about making promises he can't keep. 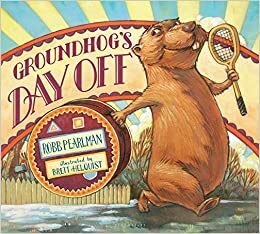 This is a cute story for reading around Groundhog Day, but also useful for helping readers understand something about friendship and honesty. 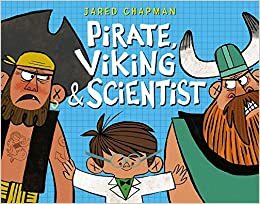 Scientist tries to find a solution when his two friends, Viking and Pirate, do no get along. Scientist shows perseverance and flexibility as he tries different solutions. Scientist's smart thinking and problem solving skills pay off as he decides to try one last experiment. The story includes lots of science related vocabulary. The illustrations are bright and fun and Scientist is adorable. This is a great book to add to a collection of those useful for teaching the growth mindset. This book tells the story of a dog who names himself Sad because his owners don't want him and constantly yell at him. Sad's situation gets even worse when his owners move and leave him behind. When a new family moves in, Sad discovers happiness. This is a heart-warming story about caring and friendship. 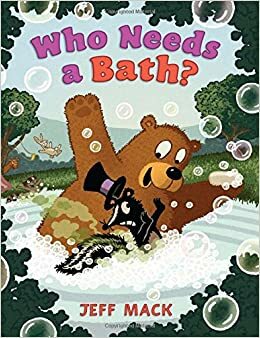 This picture book about a bear who is trying to get his friend Skunk to take a bath could help children see that a bath can be fun. The fact that Bear's ideas to get Skunk to bathe in the pond repeatedly end with Bear in the pond instead add humor to the story. A lot of the action of the story is shown through the bright and detailed illustrations. This would make a fun read-aloud story. A stray cat is the narrator of this transitional chapter book. The cat thinks he enjoys being independent, unlike his friends who all have their own humans. When a girl moves into the abandoned house nearby to where the cat hides, the cat tries not to get attached, but learns the benefits of having his own human. This is a sweet story that shows the friendship that can exist between humans and their pets. There are illustrations on every page making the book a quick and interesting read. 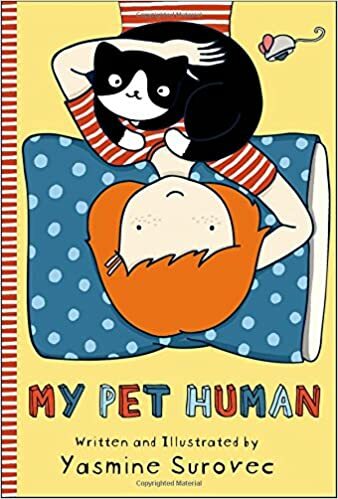 I loved My Pet Human (as a cat lover I might have been a bit biased of course...!). Sad, the Dog looks just heartbreaking, that cover alone is tugging at my heartstrings! It starts off sad, but the ending is happy and sweet. 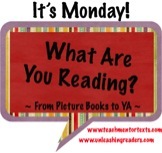 I read My Pet Human this week too! I thought it was so adorable. I don't know if I could ever make myself read a book called Sad, the Dog with that cover, no matter how assured I was of a happy ending. It just looks SO SAD! Yes, the first part is sad, but I think it's worth the happy ending. Oh my, each one of these sound wonderful. One of my granddaughters has decided that baths are not fun. I'll have to find Who Needs A Bath? for her. And those groundhog books sound fun, too, good imagination! Sad, The Dog would be a good gift for a local humane society, wouldn't it? Thanks for all! Yes, that's true about Sad, The Dog. Maybe your granddaughter will think differently after reading Who Needs a Bath. Oh my gosh, I am literally tearing up reading your blurb on Sad, The Dog. Now I need to read it to make sure it ends ok!! It definitely ends on a happy note! I really want to pick up My Pet Human from our library. Sad the Dog also looks interesting. Thanks for sharing these titles. My children and I are in love with Sad, the Dog. We aren't pet owners, but the richness of friendship, care and empathy throughout this story is moving for any human being! It's beautiful themes are thought-provoking and incredibly emotive. You're missing out if you don't share it with a loved one.